Here is a short film about the the excellent new project HIND LAND from the photographers Nick Rochowski and Tim Bowditch. For the project they made a photographic survey of the pedestrian walkways and forgotten places found beneath the M25 motorway. I recently discovered this excellent book edited by David Evans. 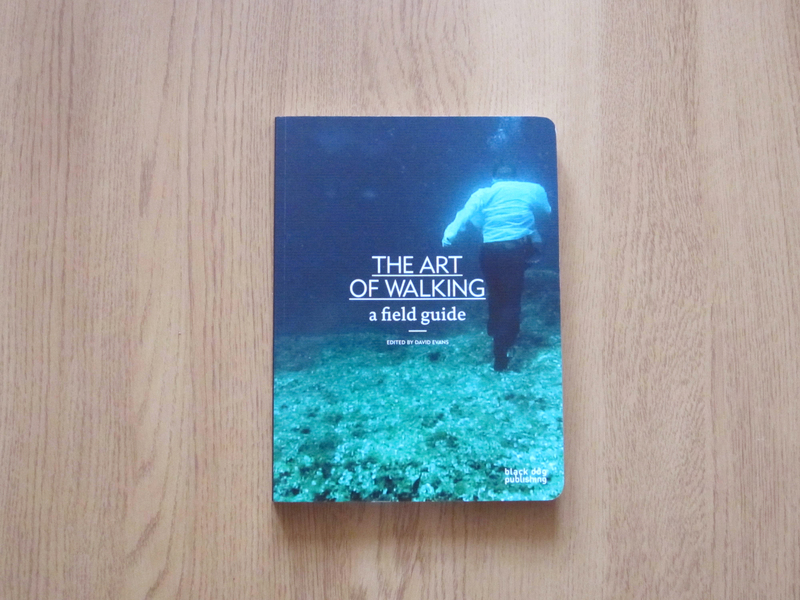 The book is a survey of walking in contemporary art practice and aims to draw attention to some of the different walking methods adopted by artists. What I found to be particularly interesting is that a number of the artists were commissioned to make work for the book and that the artists themselves were actively involved in its design. This makes for an interesting, enjoyable and unpredictable read. The book is well illustrated with lots of photographs and features the work from some of todays leading artists such as Melanie Manchot, Sophy Rickett and Simon Pope. I was particularly excited to find a selection of photographs from Keith Arnatt’s wonderful series Walking the Dog. You can find an article about my work at URBANAUTICA and also at PHOTOSCHOOLS. I grew up in Birmingham which is a grey, industrial city in the centre of England. As a child, me and my family would escape the city by heading out into the countryside in search of tranquility. The quintessentially English activity of rambling is something I have continued to enjoy as an adult. It gives me time to put things in perspective and to be alone with nature. 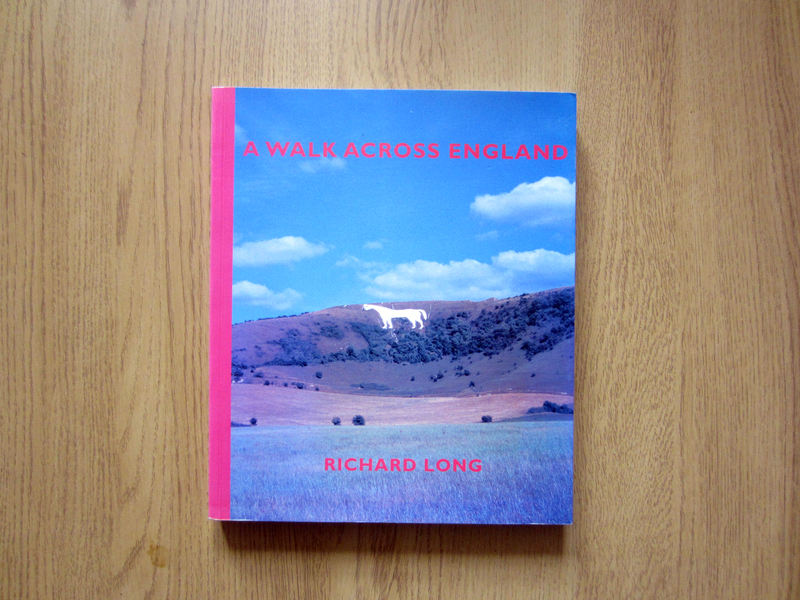 I came across a book of 30 walks in sussex. Living in Brighton I was immediately attracted to the idea of having a place I could walk to and make work within easy reach of where I live. 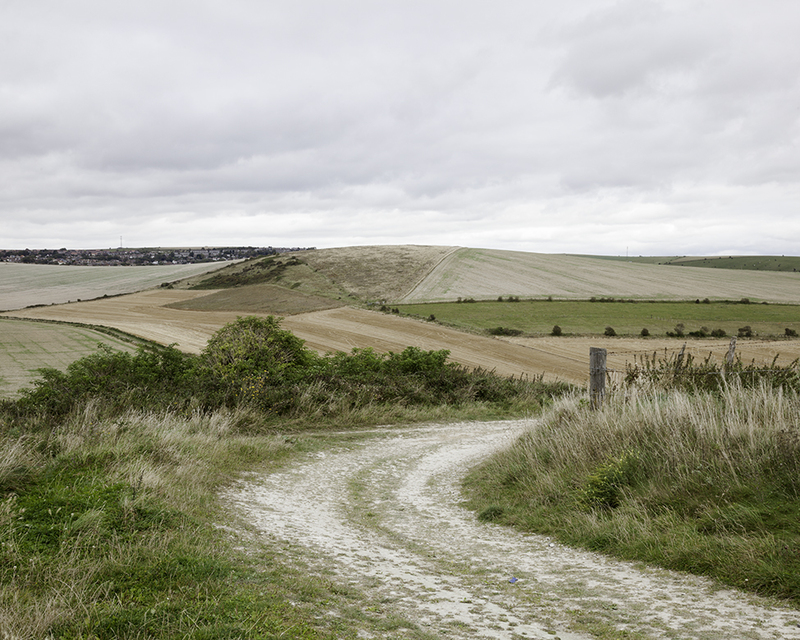 So I set out to walk the 30 walks and try to capture my experiences whilst following the endless paths and bridleways that mark the Sussex landscape. As well as walking literature I will be posting photographic books from both photographers and artists. This book was highly influential to me when I was first studying photography back in 2000. Not only was Richard Long the first walking artist I was exposed to but he was also the first person I found that combined photography and walking. Long was invited to make a piece that would appeal to adults and children alike, drawing attention to the simplicity and wonder of walking. The viewer is taken on a visual journey from one side of England to the other and shown not only the paths and landscape that Long traverses but also his own subjective presence within the images. Every now and then I like to get the book down off of my shelf to remind me of the excitement of simply walking and looking.